Dispose of oil- or water-based paint as Household Hazardous Waste. Never dump paint down the drain because it can contaminate lakes and rivers. 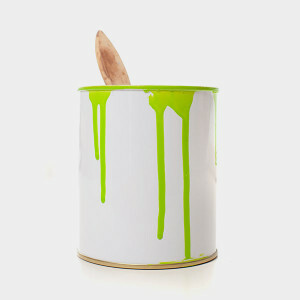 Let empty paint cans dry out before disposing of them. Then, throw them in the trash without the lid, in order to show that the can is empty. Leftover paint is the single largest waste stream that local HHW programs find themselves managing. According to the EPA, approximately 10 percent of all paint sold each year will not be used.